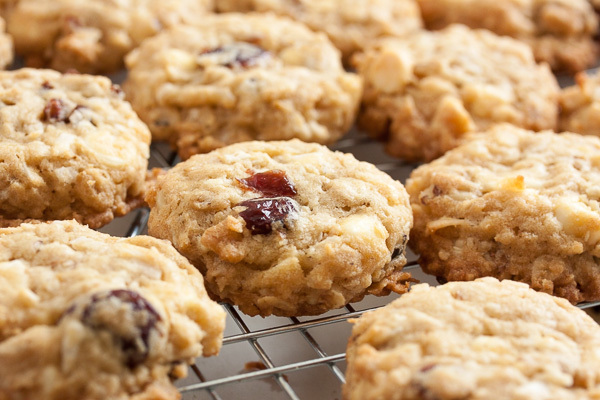 Cranberry Pecan Oatmeal Cookies | wanna come with? 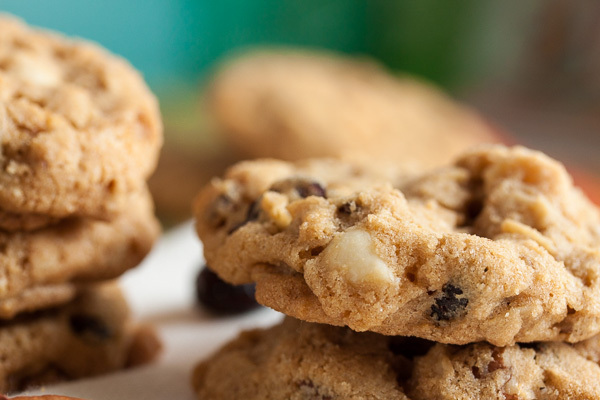 This week’s cookie is just a good, old-fashioned oatmeal cookie – the kind that everyone loves. 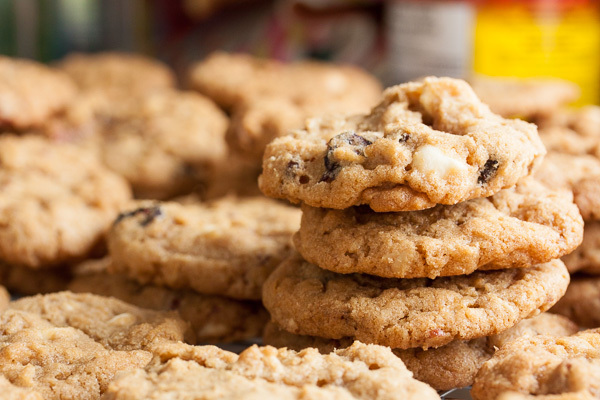 Everyone loves oatmeal cookies, right? One of my coworkers, at the very least, gets really excited every time I bring them in. Seriously, I think I make her week. And I have yet to meet an oatmeal cookie that I don’t like. 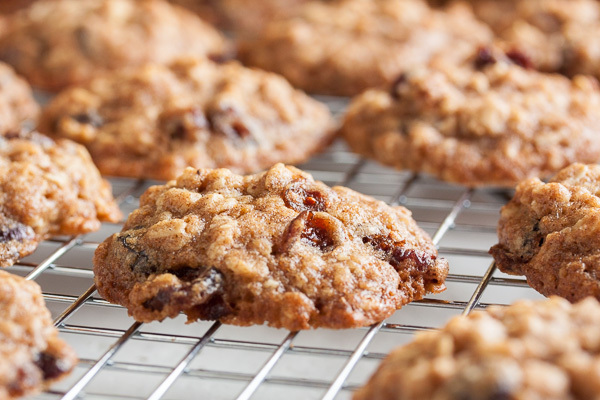 I even like oatmeal raisin cookies (shhhh, don’t tell anyone). So I was flipping through my Butter Baked Goods cookbook the other day and I suddenly realized I hadn’t made any of their cookie recipes yet. 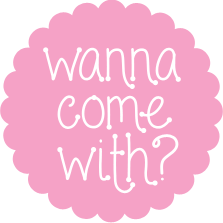 That? That’s just wrong. I’ve made three of the muffins so far, and they were all fantastic (seriously, seriously good). And any of the cookies that I’ve had from the bakery itself have been amazing (although humongous), so I had no worries about how this cookie would turn out. And this cookie sounded delicious. 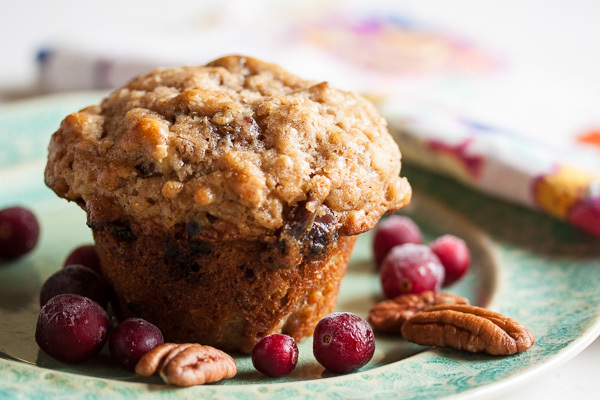 I love cranberries and pecans – both of them get added to recipes regularly around here (like my breakfast steel cut oats) and I’m constantly running out of both of them – so right off the bat I knew I’d be a fan of this cookie. Plus it’s an oatmeal cookie. And we’ve established that oatmeal is a plus. This cookie also includes a generous helping of white chocolate. And while I’m not generally a fan of white chocolate, it always works well with tart ingredients like sour cherries and yes, cranberries. 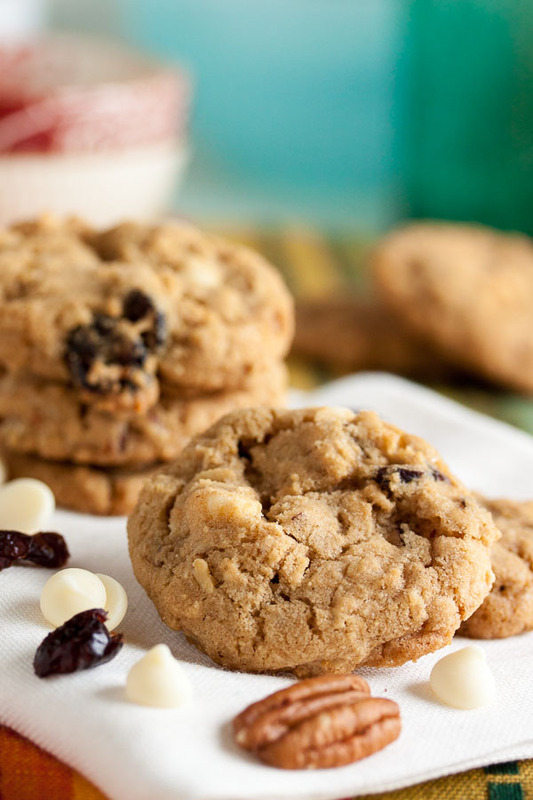 This cookie is dense and chewy, with both crunch and buttery flavour from the pecans, tartness from the cranberries, balanced by the sweet white chocolate. This cookie makes me happy. Adapted from "Oatmeal Cranberry Pecan Cookies" from Butter Baked Goods by Rosie Daykin. The recipe says it makes about 24 cookies, but as usual, I made them with a small cookie scoop and got about 60 cookies. In a medium bowl, whisk together the flour, oats, baking powder, baking soda, and salt. Set aside. Turn the mixer down to low and add the dry ingredients, mixing until just barely combined. 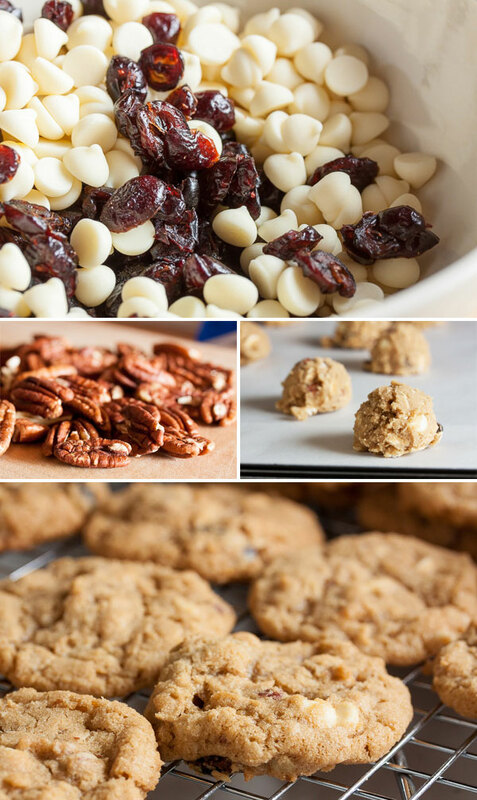 Remove from the mixer and add in the white chocolate, pecans, and cranberries, either with a spatula or by hand. I prefer to knead inclusions in by hand to ensure they're distributed evenly. Using a small cookie dough scoop or a tablespoon, portion the dough onto the baking sheets about 2 inches apart to allow for spreading. Press down slightly with the palm of your hand. Bake for about 15-17 minutes, until lightly golden brown around the edges, rotating the baking sheet halfway through the baking time. Allow to cool on a wire rack for a few minutes before removing the cookies from the pan and allowing them to cool completely. Oatmeal cookies are my absolute favourite! These look very delicious. Thanks Angie 🙂 I have yet to meet an oatmeal cookie I didn’t like.